Can Exercise Ever be Too Much of a Good Thing? Your physician has prescribed exercise as a way to stay in shape, lower cholesterol levels and improve your overall health. You’ve also just hired a personal trainer to jump start your “new year” health resolution. Now, a 2014 study finds that 30 year old men who exercised intensely more than 5 hours a week were significantly more likely to develop atrial fibrillation later on in life than those who exercised less. Wait…What! 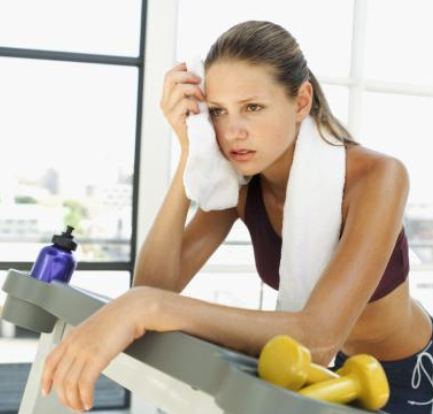 Can too much exercise be a bad thing? A May 2014 Swedish study published in Heart, squares conflicting evidence of both moderate and intensive exercise being good for you and death from cardiovascular events. The study found that 30 year old men who exercised intensely for more than 5 hours a week had a significantly greater risk of developing atrial Fibrillation later in life compared to men who exercised less. Another study found that daily strenuous exercise increased the risk of dying from a heart attack or stroke in men with existing heart disease. The studies underscore the importance of “moderate” duration and “moderate” intensity when it comes to maximizing benefits and lowering risk factors during exercise. Other studies have pointed to high intensity training resulting in the body experiencing temporary pro-inflammatory states. In an attempt to not dissuade, we need to be reminded of the institutional wisdom of exercise as a precursor to good health. Our perceptions of how much and for how long we should exercise is the variable that we need to pay attention to. A follow up editorial of the Swedish study acknowledged that high intensity and duration are the critical factors, with maximum cardiovascular benefits obtained at moderate doses but lost at very high intensity and prolonged efforts. It would be prudent to say therefore, that in our attempt to maximize benefits and minimize risks, more is not always better. Studies such as these remind us of the importance of consulting with your health care professional before starting an exercise program.